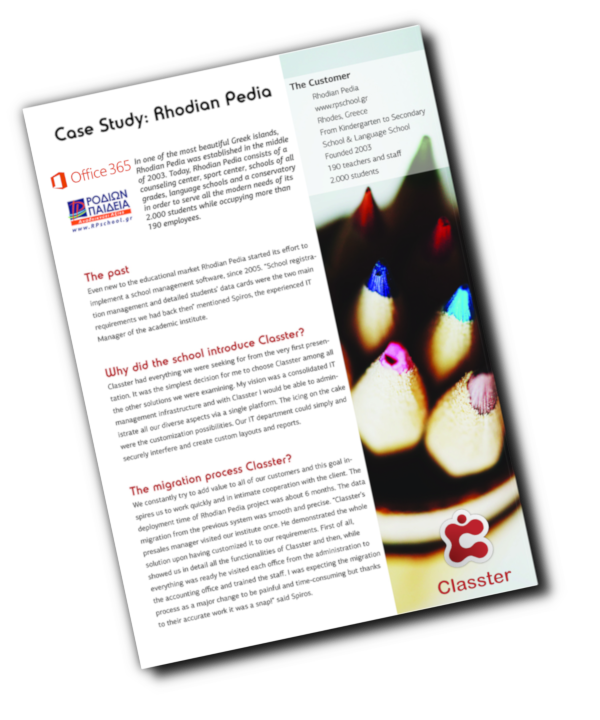 Classter can support your Library Management System, via its barcode management solution. The use of barcodes will allow you to easily deal with borrow and return of books by students, teachers, parents, and employees, while you can also store the data related to borrowing to your digital or physical libraries. Additionally, you can use Classter’s advanced library tools to record your books. 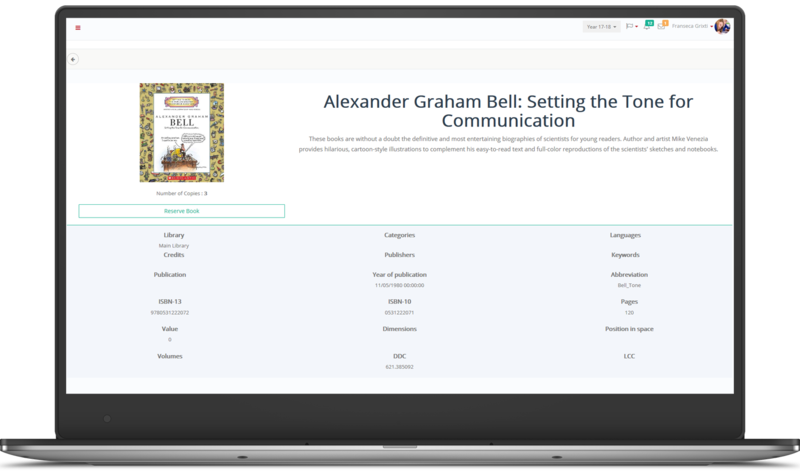 The system supports book entries, with detailed structure and chapters, management of book sizes with actual dimensions accompanied with information about the authors, the editors or other book contributors. Moreover, you can manage book copies and get an overview of the book location and availability per copy. What is more, Classter supports book donations. Thus you can motivate and encourage people to donate books maximizing the quality of your library. Another important feature is that Classter’s online library system can enhance your student’s knowledge and academic development as well as motivate them to conquer knowledge on their own. For this reason, the system provides students, but also teachers, with access to school libraries through their personal portal. They can easily search for books and make online reservations, while at the same time the library system is being automatically informed. Furthermore, to save users’ time and energy concerning information searching, the Classter team has developed smart search tools. Classter is fully integrated with isbndb.com, so if you record books' LCC/DCC categorization and ISBN10/ISBN13 you will be able to retrieve information on books automatically. As a result, students, teachers, parents, and all employees can search books via Full-text search through their portal. However, apart from the school’s libraries, Classter provides you the opportunity to create and manage your course libraries. Enrich your courses with accompanying books and create course delivery planning based on book structures that will engage your students and motivate them to participate during the lesson actively.